One of the oddities for us moderns of the Genesis creation account is that the sun, moon and stars are not created until the fourth day of the week even though light was created on the first day and vegetation on the third.
. . . Earth was without form, and void; and darkness was on the face of the deep. . . .
Then . . . there was light. . . . and God divided the light from the darkness. Then . . . God made the firmament, and divided the waters which were under the firmament from the waters which were above the firmament . . . And God called the firmament Heaven. . . .
9 Then God said, “Let the waters under the heavens be gathered together into one place, and let the dry land appear” . . . . And God called the dry land Earth, and the gathering together of the waters He called Seas. . . .
And the earth brought forth grass, the herb, and the tree . . .
Then God made two great lights: the greater light to rule the day, and the lesser light to rule the night. He made the stars also. God set them in the firmament of the heavens to give light on the earth, and to rule over the day and over the night, and to divide the light from the darkness. . . .
then the sun, moon and stars to separate the seasons and years, periods of time generally, and mark significant events. Our first instinct is to compare the Babylonian creation epic, the Enuma elish, in which the solar deity, Marduk, cuts in two the sea monster, Tiamat, so he can put one half of her body above to become the heaven and the other half below, the earth. But despite similarities it’s not quite the fit for Genesis. In the Babylonian myth the sun, moon and stars are created before there is any sign of the earth and its vegetation. But if we move west to the Greeks we do find creation accounts that more closely match Genesis 1. At the first Chaos came to be, but next wide bosomed Earth. . . . From Chaos came forth . . . black Night; but of Night were born . . . Day . . . . And Earth first bare starry Heaven, equal to herself, to cover her on every side, and to be an ever-sure abiding-place for the blessed gods. And she brought forth long Hills, graceful haunts of the goddess-Nymphs who dwell amongst the glens of the hills. She bare also the fruitless deep with his raging swell . . . .
Out of chaos we have night followed by day, and the earth appears to simultaneously give birth to the starry heaven and the wooded hills and valleys separated from the sea. But then we come to the philosophers attempting to arrive at a more “scientific” or “natural” explanation. Here what we know of the cosmogony of Anaximander of Miletus is of particular interest. We begin with all the elements — fire (hot), air (cold), earth (dry), water (wet) — in chaotic confusion. An infinite power that encompassed all set in motion the chaos and began the process of separating each of the elements, the hot from the cold, the earth from the water, followed by a more orderly combination and arrangement of these elements. As the chaos turned the lighter elements increasingly flew to the outer limits while the heavier ones move to the centre. Hence the fiery elements were on the circumference with the earth in the centre. Picture a sphere or shell of a fiery element surrounding the air around the earth, “like bark on a tree”. So hot is separated from the cold. And heavier still, towards the centre of this great turning mass of elements coming to find their “natural places” we have the earth and oceans. 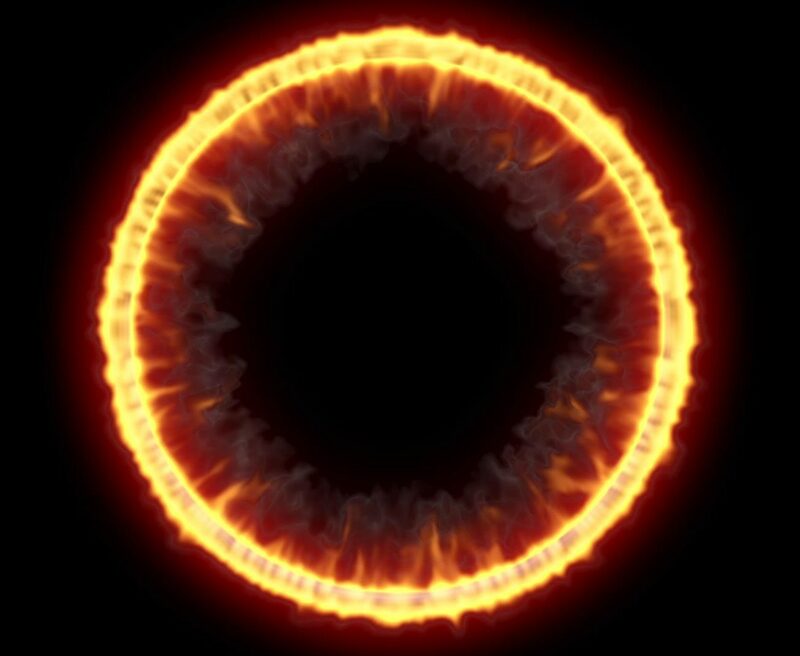 The Hot moves out to the circumference and becomes incandescent, forming a spherical sheath of visible fire, enclosing the cold moist core of the nucleus. In place of ‘the Cold’ we now hear of ‘the air (mist) encompassing the earth’. Presumably the core is still humid throughout — a dark cold mist enveloping a somewhat denser watery mass at the centre. That “spherical sheath of fire” replaces the firmament in Anaximander’s system. The fiery shell around the air and earth itself began to break up into separated hoops. When this (sphere of flame) was tom off and enclosed in certain rings, the sun, moon, and stars came into existence. The heavenly bodies came into being as (each) a ring of fire, separated off from the fire in the world and enclosed by mist (‘air’). There are breathing-holes, like the holes in a flute, at which the heavenly bodies are seen. Hence eclipses occur when these breathing-holes are blocked; and the moon appears now to wax and now to wane according as the passages are open or blocked. The separation of Dry Land from Ocean is followed by the formation of the sun, moon and stars — just like the Bible says! What we are seeing in Genesis (as in Greek ideas) is the increasing separation of the elements followed by their more orderly relationship with one another as they find their natural places and settle into the proper mixes or blending of their respective forms. 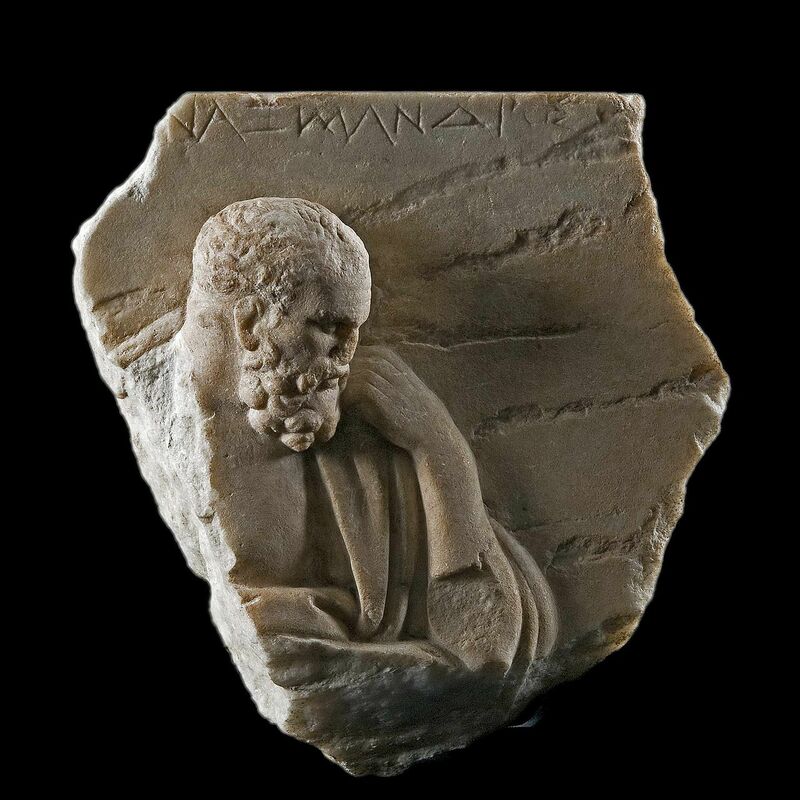 Subsequent Greek philosophers restored the firmament that Anaximander had displaced. Is one meant to imagine, biblically, the firmament providing holes to let the waters above fall down as rain from time to time and also peak holes to see portions of the fiery hoops in the form of the sun, moon and stars? Scholars back in the 1950s who published the above view that the author of Genesis 1 was influenced by Greek views of origins justified their proposal by pointing out that the “priestly account” of the Genesis creation was composed after the Babylonian captivity and more likely in the Persian era. This chronology removed any difficulty in Genesis being influenced by Greek ideas. I am wondering if I first read of the above explanation in more recently published either by Russell Gmirkin or Philippe Wajdenbaum or another and have momentarily forgotten the references. If so I do apologize for not acknowledging them in this post. As far as I am presently aware I learned of the above explanations by reading an article and related references by C. F. Whitley (see below). Cornford, F. M. (1952). Principium Sapientiae. The origins of Greek philosophical thought. Cambridge University Press.